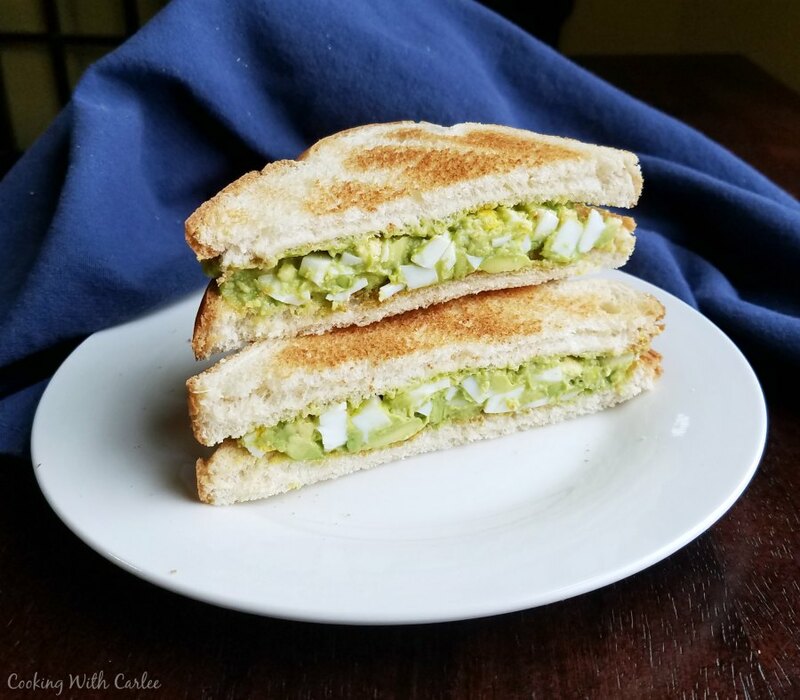 One of our favorite ways to make egg salad is with avocado. 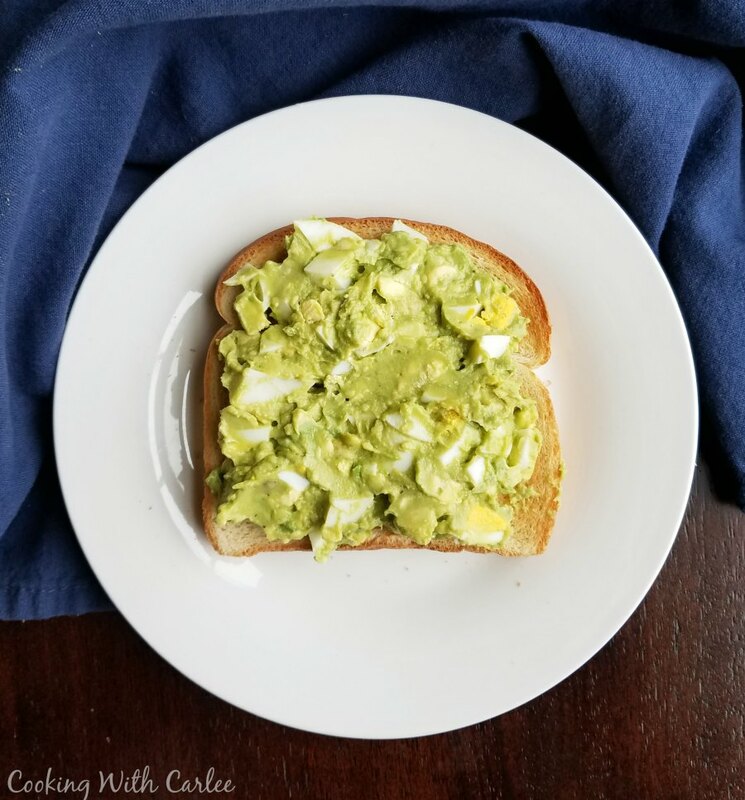 It's still creamy but healthier and perfect between a couple slices of toast! Little Dudes's first food was an avocado. We skipped right over cereal and went straight to the good stuff. Avocado is a perfect baby food. You don't have too cook it, you don't have to process it. Just pick a nice ripe avocado and scoop it out. Mash a bit and serve! One of Little Dudes's current favorite foods is hard boiled eggs. He loves to carry one around and nibble on it. He also likes to put them in the egg slicer and push down the top. Both options are great as long as you don't mind picking up bits of egg yolk as it crumbles. All of this to say that this egg salad is just a mash-up of two of his favorite things! I eat mine on toast, but Little Dude likes to eat it right out of the bowl! When my grandma and aunt were over making krumkake, he made them each a sandwich. I just put the ingredients on the table for him and he went to work. After measuring the salt and pepper in his palm, he approved the of the amount and added it to the bowl. My grandma still gets a kick out of telling people about that to this day. Not bad for a two year old! 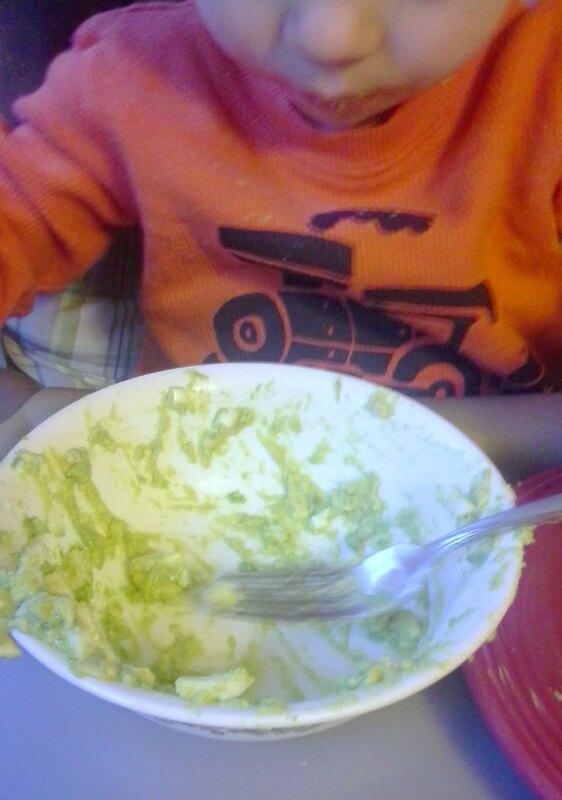 Scoop avocado into bowl and add a splash of vinegar to keep it from browning. Season to taste. I have added mustard and relish before, but it really is pretty good with just salt and pepper. I love this salad! Simple and delicious! Thanks for posting it over at Carole's.